A sighting in the field is just one way birders can identify bird species. Observant nature-lovers can discover what birds are where by examining tracks, trails, and a variety of bird sign: discarded feathers, feeding leftovers and caches, pellets, nests, droppings, and skulls and bones. 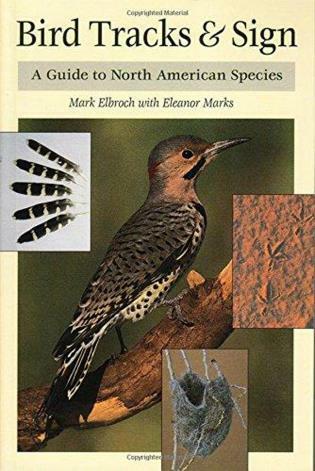 This fully illustrated guide--the first of its kind for North American birds--presents thorough and straightforward instruction for identifying bird families or individual species by careful examination of the unique sign they leave behind. It also offers keys to the birds' behavior in the wild. NOBA award-winning author Mark Elbroch has contributed to numerous research projects in North America, including the capturing and collaring of cougars and Glacier National Park's bear sign survey. He lives in Vermont. Eleanor Marks is an avid birder, veteran tracker, and writer. She lives in Massachusetts. Diane Boretos, a wetlands biologist, is a senior scientist with an environmental consulting service.